I'm sure the computer is a little on the optimistic side so I'll have to see how things do over a few tanks. It's quite an improvement over the 10-year-old Mini though. 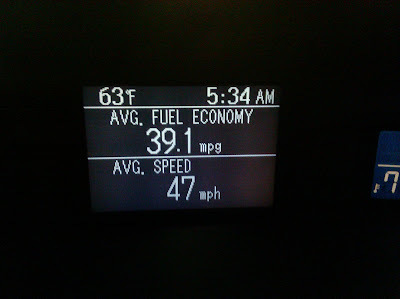 Filled up last night and the average was 33 MPG overall for about 2 weeks. I'm not sure how accurate it is as I don't really know how "full" the tank was when I got it. It certainly couldn't be worse though.